Included below are houses for sale in Imperial Beach. If you would like more information on any of these Imperial Beach real estate listings, just click the "Request More Information" button when viewing the details of that property. We can provide you with disclosures, past sales history, dates and prices of homes recently sold nearby, and more. And, if you haven't already, be sure to register for a free account so that you can receive email alerts whenever new Imperial Beach houses come on the market. Imperial Beach is located in the South Bay area of San Diego. Imperial Beach is the most southern beach city in Southern California and the West Coast of the United States. It has four miles of sand running south towards Tijuana. Imperial Beach is only five miles northwest of downtown Tijuana, Mexico. Imperial Beach hosts the beach front classic car show every summer and an annual dog-surfing contest. The Imperial Beach Farmer's Market is the only beachfront farmer's market in San Diego County, operates from Pier Plaza every Friday afternoon (from November to March) and (from April to October). The South Bay Drive-in, the county's only ocean view drive-in theatre, is located just outside Imperial Beach off Coronado Avenue. 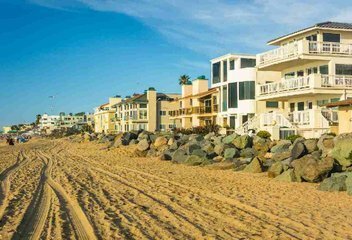 When searching Imperial Beach condos for sale you will find the most notable condo neighborhoods in Imperial Beach are Beachbreak by CityMark, Imperial Beach Club, Sea Ranch, and Light House Point. Imperial Beach condominium & townhouse complexes include 1340 Holly Condos, Alejandra, Bayview Manor, Beach & Bay Villas, Beachbreak by CityMark, Boca Rio, Calle Ave Condos, Casa de la Playa, Cherry Breeze, Coastwalk Townhomes, Complex on Donax, Cortez, Coronado Bay Point, Costa Del Mar II, Cozy Corner, Dahlia Townhomes, Daisy, Dolphin Bay, Dolphin Cove, Ebony 181, Ebony Estates, Georgia Street Villas, Heron Cove, Holly Ave Condos, Holly Manor, Holly on IB, Imperial Beach Club, Imperial Breeze, Imperial Palms, Iris Gardens, La Boca Rio, Las Mareas, Ocean Breeze, Ocean Point, Ocean Terrace, Ocean Villas West, On Donax, On Holly, On Seacoast, Pacific Breeze, Pacific Sands, Palm Plaza, Park Ocean Terrace, Peerless Shores, Piers, Playa Dahlia, Playa Flores, Riviera Beach & Bay Villas, Royal Jason Townhomes, Sand & Sea, Sandcastle Townhomes, Sands Pointe, Sea Breeze Gardens, Sea Ranch, Sea Side Villas, Sea Village, Sea Coast Beach Homes, Seacoast Estates, Seacoast Villas, Shauna Shores, Shearwater, Shopkeeper, Silver Strand Gardens, South Coronado Shores, Southwesterly Shores, Summer Sea, Surf & Sand, Tapestry, Tenth Street Estates, The Breezes, Tradewinds I, Tradewinds II, Villa Seacoast, Vista Del Coronado, Wavecrest, and Willow Bay. The Imperial Beach club is a resort lifestyle condominium development with private access to the sand. Each unit features private balconies, en suite master bedrooms, in-home laundry units, and full kitchens. The complex has underground parking, a pool, exercise facility, and is two blocks from the Imperial Beach pier. Beachbreak by CityMark is a set of 14 new contemporary beachfront townhomes with first floor retail spaces. The townhomes feature 2 to 3 bedrooms, are 100 yards from the ocean, and across from the Imperial Beach pier. Sea Ranch is a group of luxury beachfront condos with views from the Coronado Islands, the Imperial Beach pier, and beyond. Homes have large oceanfront decks with beach access. There is elevator access from the garage. Light House Point is a brand new luxury condominium development in Imperial Beach. Units in Light House Point Pier View at Sea Coast have stone flooring, elevators, nine foot ceilings, jacuzzi steam rooms, ocean views, and multiple view decks. Pier View At Sea Coast is a brand new luxury condominium development in Imperial Beach. Units in Light House Point Pier View at Sea Coast have stone flooring, elevators, nine foot ceilings, jacuzzi steam rooms, ocean views, and multiple view decks.